The following article written by CBC videojournalist Brian Higgins was reprinted with the permission of CBC. The Cornwall bypass is intended to move more cars faster. A major piece of river realignment now underway is intended to help fish get around better, too. 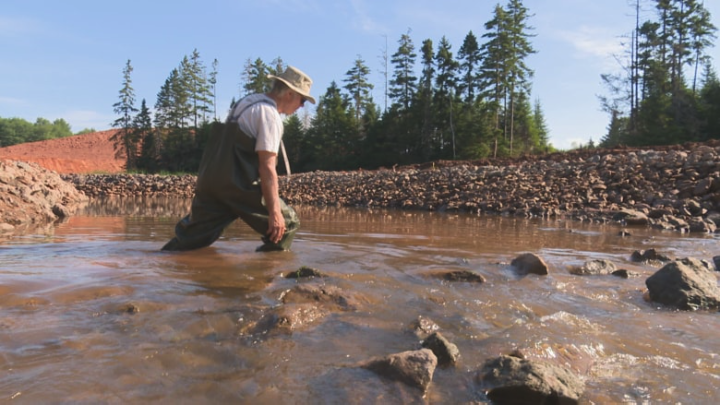 Guignion donned a pair of chest waders Tuesday to walk through a newly reconstructed section of the Clyde River. Around him and above him, construction crews were preparing ground for a new bridge across the waterway, part of the final stretch of the Cornwall bypass. “It’s five feet deep past here, seven feet if I take another step,” said Guignion, up to his chest in free-flowing water. The Clyde hasn’t run that deep in decades, due to gradual siltation that had been choking fish out of their former habitat. “I do like what I see. It’s going to create deeper pools for fish,” said Guignion, carefully stepping up the bank. The river was rerouted by construction crews now working on the bridge. They were guided by a plan put together by an engineering consultant hired by the Department of Transportation, Infrastructure and Energy. The plan made a 325-metre section of the river straighter, with gentle curves, rocky sides, and large rocks placed strategically to create turbulence and to add oxygen to the water. By relocating the course of the stream, crews also created firm footing for the massive bridge to be installed overhead. ​The province is working with two local watershed groups — the Clyde River and the West River — to complete the project. As part of the work, the province will also rehabilitate the site of an old dam, upstream from the new bridge. Duck ponds and wetlands will be created or enhanced at several sites along the bypass, according to Thompson. Guignion says he hopes to see walking trails built along the river too, similar to trails built by the province in recent years in nearby Bonshaw. Link to the story on the CBC website here. 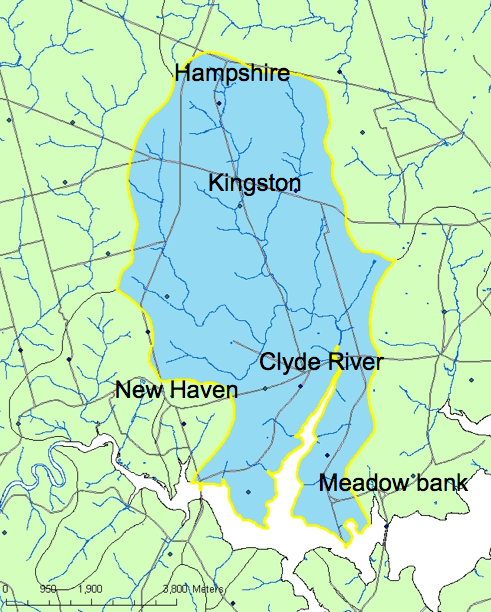 West River Watershed Presentation, Tuesday, April 17th, 7:00 p.m.
For the past several years the West River Watershed Group has been doing work during the summer months to improve the health of the Clyde River. Next Tuesday evening, members of the group will be providing an update on the work to date and the plans for the coming season. Their presentation takes place at 7:00 pm Tuesday, April 17 at the Riverview Community Centre. Everyone is welcome to attend and find out more. Watershed Group Invites your Ideas, June 8th, 7:00 p.m. The Central Queens Wildlife Federation (CQWF) is currently executing a multi-year restoration plan for the Clyde River watershed. To date we have focused our efforts on the West Branch (Baltic Brook) and are expanding our efforts into the main branch this year. 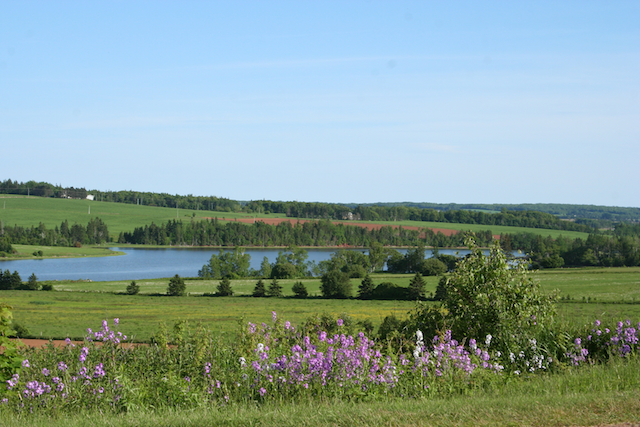 The decision of the Government of PEI to construct the Cornwall Bypass will have a significant impact on the Clyde River watershed. As we are currently working in the watershed, CQWF was invited by the Government to provide advice and technical support during the planning and construction phases of the bypass. We have identified a number of potential projects to protect and enhance the habitat, and we would like to obtain input from the community on these and other ideas to develop an overall vision for the watershed. What would the residents of the Clyde River like to see? Is there a desire to restore the Acadian forest, develop nature trails and interpretive sites, create wetlands or other ideas? The meeting is scheduled for Jun 8th, 7:00 PM at the Riverview Community Centre and all are welcome to attend. We will provide a brief overview of the projects we are considering and there will be an open forum to answer any questions as well as time for informal discussion. We hope to see you there! 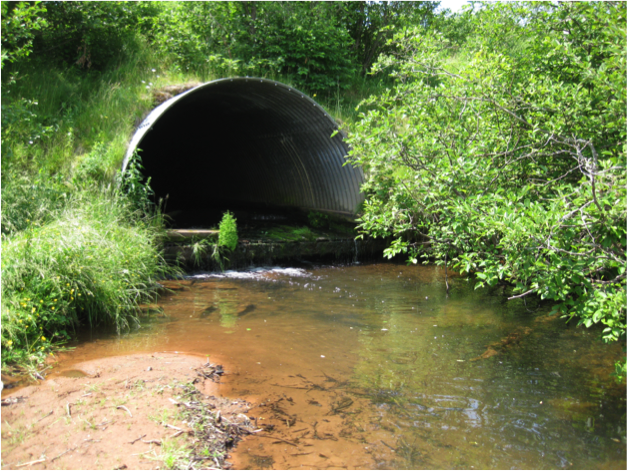 Public Meeting to discuss Cornwall Bypass crossing Clyde River Watershed, June 8th, 7:00 p.m. The Annual General Meeting of the West River Watershed Group, scheduled for this Saturday, April 29th, has been postponed. The meeting will now take place from 10:00 a.m. – Noon on Saturday, May 6th at the Riverview Community Centre. Presentation about the Clyde River, April 11th, 7:00 p.m. The West River Watershed Group has been doing great work for the past several years to improve the health of the Clyde River. Next Tuesday evening, members of the group will provide an update on the work to date and their plans for the coming season. Their presentation takes place at 7:00 pm Tuesday, April 11th at the Riverview Community Centre. Everyone is welcome to attend and find out more. Clyde River will be busy with upcoming events and you can be, too. 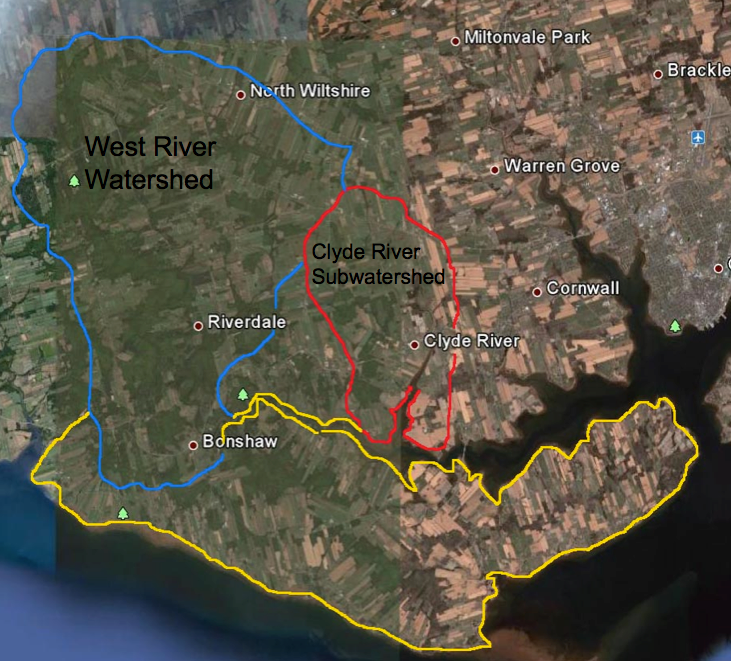 Wednesday, May 20th – 7:00 p.m. – West River Watershed Update – Riverview Community Centre – For the past several years the Central Queens Wildlife Federation has been doing work during the summer months to improve the health of community’s rivers. Once again, Megan Harris, West River Watershed Coordinator, will be providing an update on the work to date and the plans for the coming season. Megan’s presentation takes place at 7:00 pm Wednesday, May 20th. Everyone is welcome to attend and find out more. Saturday, May 23 – 9:00 to 12:00 noon – Murchison Place Park Clean up – Bring your own garden and clean up tools e.g. shovels, rakes…some Rubber Maid totes would be great. Food, refreshments and team spirit will be provided. Wednesday, July 1st – 11:00 a.m. to 1:00 p.m. – Canada Day – Riverview Community Centre – It’s a birthday party! Be a kid again or still. Enjoy hotdogs, cake and ice cream. Help us raise the flag, sing the anthem and celebrate Canada’s big day. Wednesday, July 22nd – 6:00 to 8:00 p.m. – Strawberry Social – Riverview Community Centre – The big summer event for Clyde River Women’s Institute is, of course, the annual Strawberries and Ice Cream Festival where young and not so young gather to enjoy the scumptious desserts and meet friends and neighbours. Admission at the door. Saturday, July 25th – 8:00 a.m. to 12:00 noon – Art in the Park – Murchison Place Park – Clyde River Artist Julia Purcell will lead a Plein Air event. We welcome beginners to seasoned artists for a morning of painting in and around the park. Bring along your own art supplies, easel, hat, sunscreen and lunch. We also welcome those who enjoy watching art being created. Coffee provided. Make the most of this summer and join in.